We all agree that mornings can be hectic, and with the average British person spending 54 minutes each day amongst the mayhem of the morning commute, it’s easy to forget about breakfast. With these quick and healthy breakfast ideas, you won’t think twice about skipping the most important meal of the day. Whether you’re in a car or taking public transportation, here are five of the best breakfast ideas for commuters. This delicious mixture of muesli is packed with flavour and essential nutrients that you can make the night before and pop in the fridge. Throw some oats, pumpkin seeds, chia seeds or some chopped nuts into a container. Next, pour some plant-based milk on top and try adding unsweetened yogurt and fresh fruit such as nectarines, blueberries or strawberries. Mix it all up and leave it in the fridge overnight. In the morning all that is left to do is to grab your container and hop out of the door. Granola bars are great to put in your lunchbox, or to chow down on your commute with a cup of coffee. Make your own batch of healthy granola bars the night before and simply grab one or two in the morning. Mix up some oats, dates, and some chopped almonds together with some honey and peanut butter and you will have a perfect hearty snack, that will keep you full for hours. These granola bars contain healthy fats from the almonds and the peanut butter and are packed with fibre from the oats. This is another fantastic breakfast you can make ahead and take absolutely anywhere. 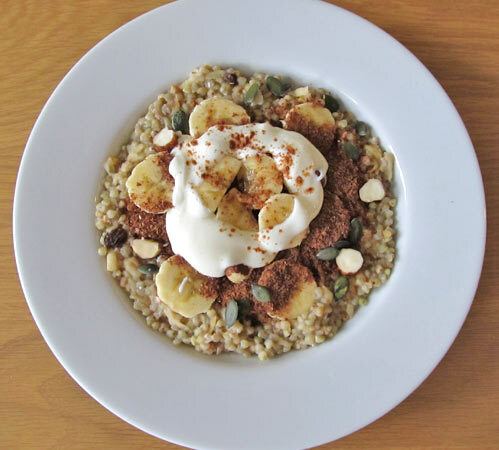 The Quinoa porridge provides a bigger hit of protein than regular porridge and is perfect for those morning aches and pains after your workout. All you need to do is cook the quinoa as it says on the packet. When it is almost done, add a cup of plant-based milk and simmer until it thickens. Move the quinoa to an airtight container and pop in the fridge overnight until it’s time for breakfast. In the morning, heat up in the microwave and add whatever delights you like; cranberries, raisins and dried apricots are just a few. Pour in a travel cup, grab a spoon and enjoy. The health benefits of porridge appear to be endless; but let’s face it; without some creative flair, porridge can get boring, fast. 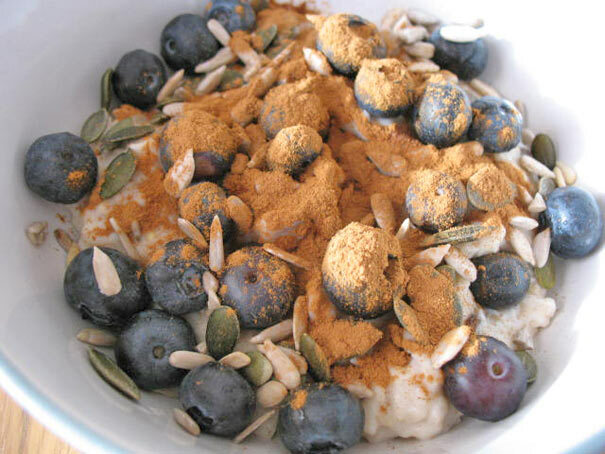 Luckily porridge is incredibly versatile and you can do just about anything with it, as well as enjoy it on the go. Some porridge brands, such as the MOMA range contain no added sugar, leaving you to get creative with more natural sugars. 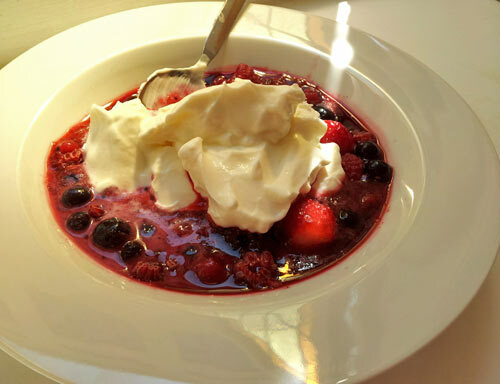 Adding fruit like apple chunks and pears pieces will give you some extra crunch in the morning whilst adding a dollop of Greek yogurt will add some lovely creaminess. 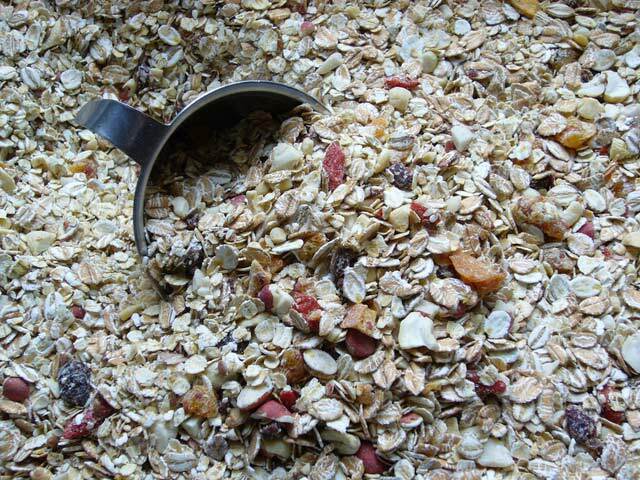 Prepare your ingredients (which can be almost anything) the night before and swirl them into your morning porridge. Make sure you invest in a travel mug with a wide neck so you can easily pour your porridge in and scoop it out on your way to work. With Nutribullet and other blenders, it’s simple to make a quick and nutritious breakfast that really packs a punch. 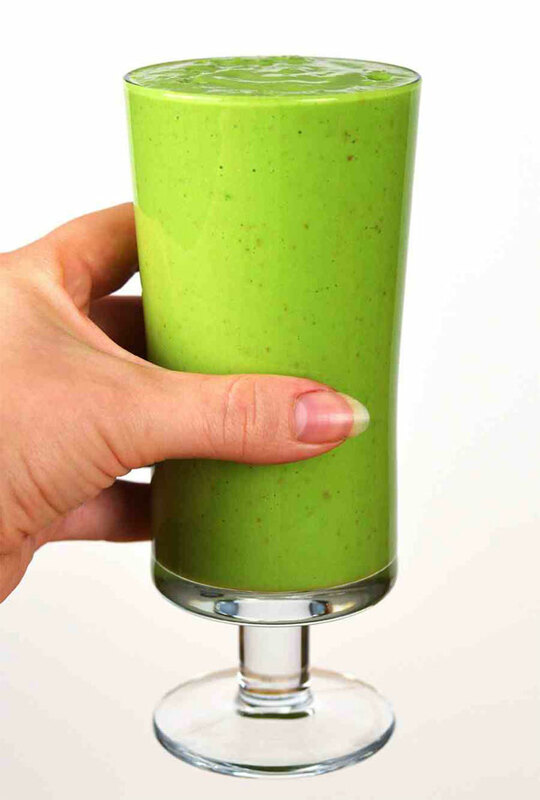 Throw some orange, banana, kale and a chopped apple into your blender. To stay full for longer add some peanut butter, hemp seeds or flaxseeds which all contain a good amount of protein. Then blend and pour into a travel mug and enjoy your healthy drink/breakfast in your car, or on public transport. So there you have it, healthy breakfast ideas for your morning commute. Which one is your favourite? Thanks, It is helpful. a healthy breakfast will give long-lasting energy and alertness throughout the day. Yes, breakfast is definitely the most important meal of the day! Great article! I’ve always considered breakfast the most important meal of the day as well and I make sure to eat light & healthy food in the morning. I usually eat porridge in the mornings and it never got boring to me for quite a while now. I mix it up with yoghurt, fruits (blended bananas, grapes, etc.) and honey to make it sweet and juicy. 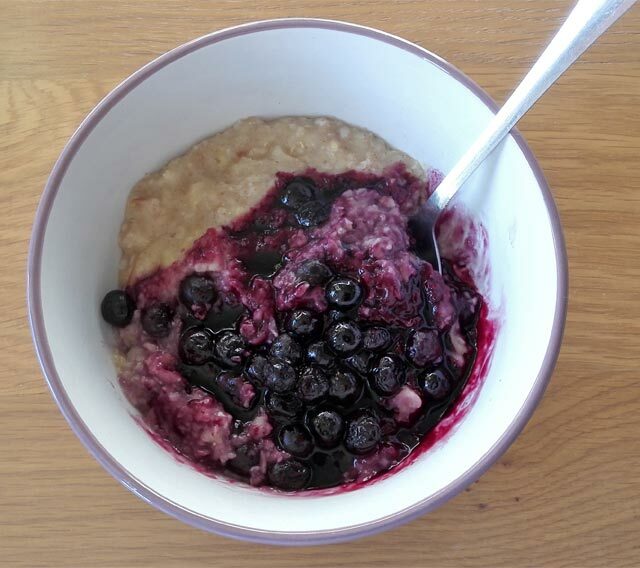 Porridge is one of my favourite breakfasts as well and I tend to make it at the weekends.Your version sounds delicious! I normally put some blueberries in and some nuts/seeds. For some extra sweetness I use date syrup.